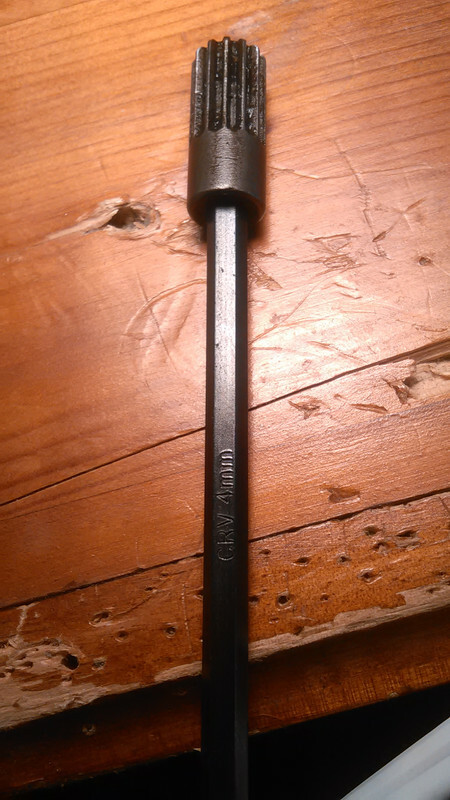 Thread: Rear Caliper Adjustment Screw Allen Key Size? What size Allen key should I use to turn the adjustment screw on the rear calipers? Feeling pretty defeated after I spent almost 2 hours replacing the pads and rotor on one wheel only to basically feel like I stripped the adjustment screw. I had undo everything and install the old pads/rotors for the time being. I was using a 4 MM Allen Key and it keeps skipping/slipping when I try to turn the adjustment screw. If I try to insert a 5 MM Allen key then it wont fit at all. Do I need to purchase a 4.5 MM Allen Key? I just checked my rear caliper from my parts car (it's disconnected from the car). I played with it for a bit and realized that turning the adjustment screw doesn't pull the piston in. You still have to push on the piston after turning the screw. The adjuster just adjusts the stopping point of the piston. Try backing off the adjuster a bunch of turns then push in the piston. Sometimes the whole mechanism is messed up and doesn't work but, you can also rotate your entire piston and screw it back in. If you try to screw in your piston, make sure your piston boot is free to rotate and not stuck on the piston or it will rip. The adjustment screw just floats in the hole, you can pull it out with a magnet and see if the teeth look stripped. Photobucket took all my pictures so I reposted some pics at the end. Thanks for the photos pcb. I finally around to messing with the caliper again and it definitely needs to be replaced now. The adjustment screw feels like its seized in place.. The car has 150,000 miles on it so I guess it was time for that caliper to be replaced. 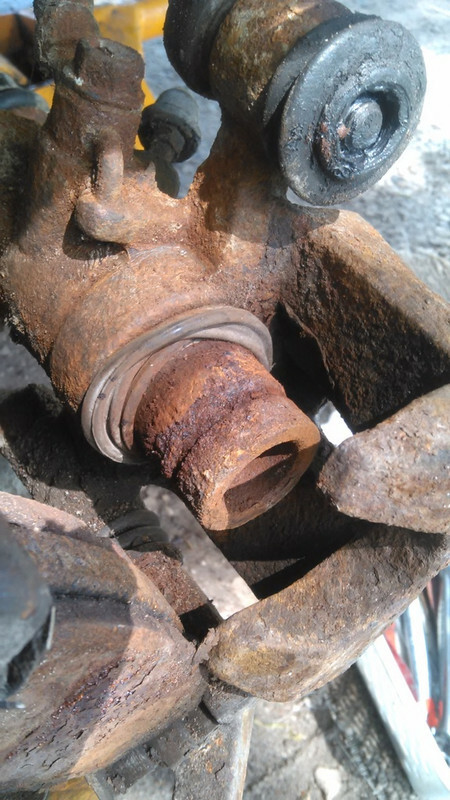 Your brake piston might be seized so the adjuster can't move it. Allen screw on rear caliper stripped. What to do?